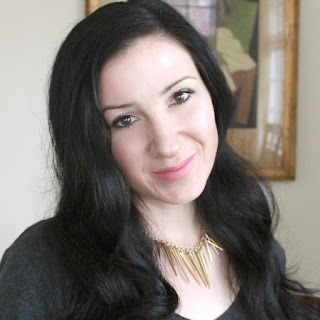 I received makeup from Pixi in order to facilitate an honest review. All opinions are my own. 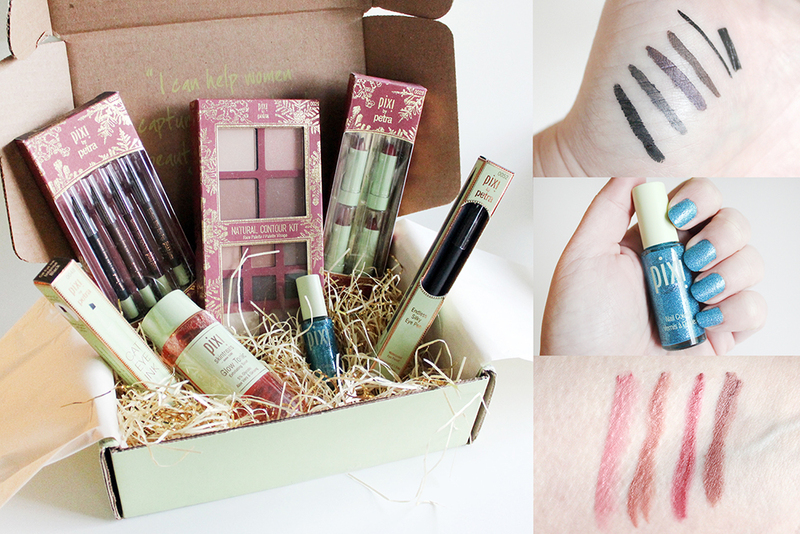 You may have seen my recent post about the limited-edition holiday collection kits from Pixi Beauty. 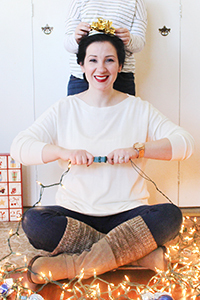 I was sent those kits plus a few extras to try out and I've got the scoop on those for you! 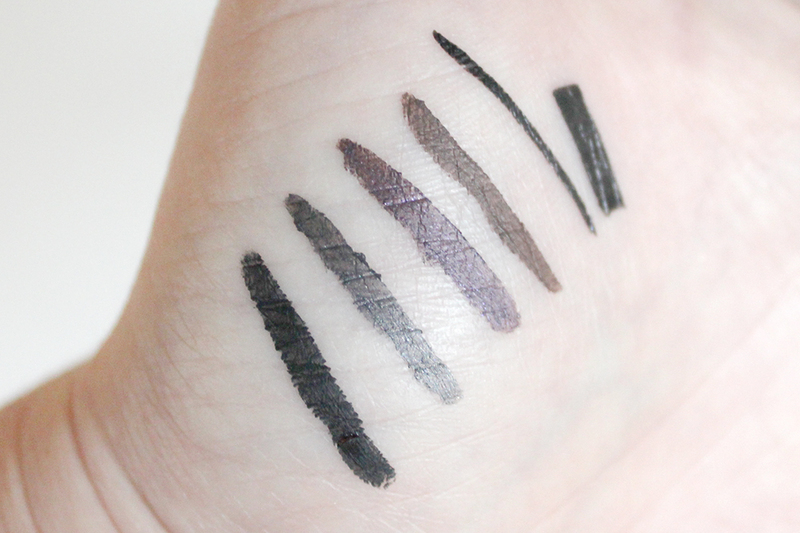 I was sent the The Endless Silky Eye Pen quartette, a set of 4 minis in Black Noir, Black Cocoa, Deep Plum and Charcoal Grey. I was also sent a full-size Charcoal Grey and a Cat Eye Ink Pen in Intense Black. 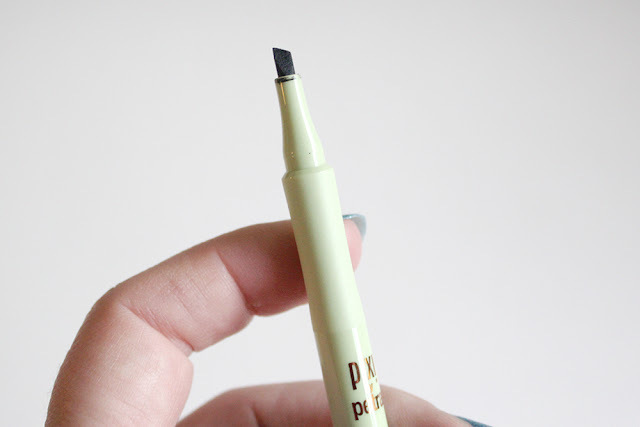 The Cat Eye Ink Pen is a liquid liner with a chiseled tip for the perfect thin line, or tilt it a bit for a thicker line. What I like most about this one is the pointed tip for the perfect cat eye swoop. 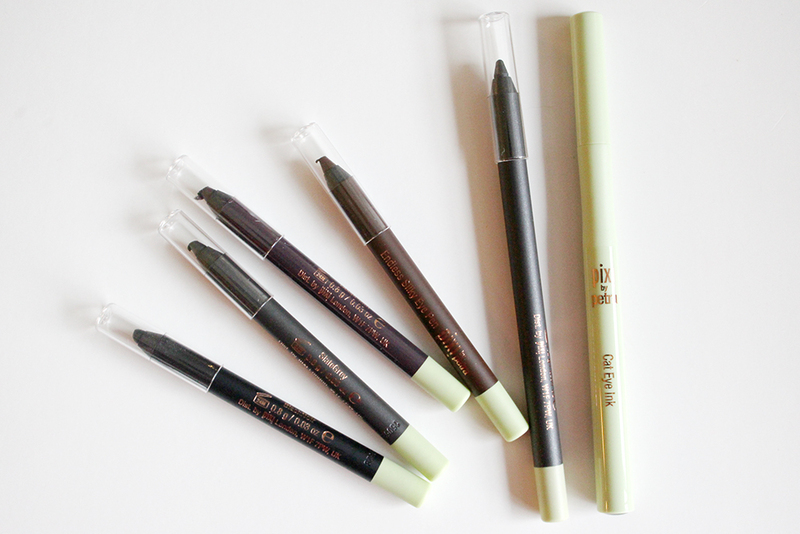 The Endless Silky Eye Pens glide on like a gel. 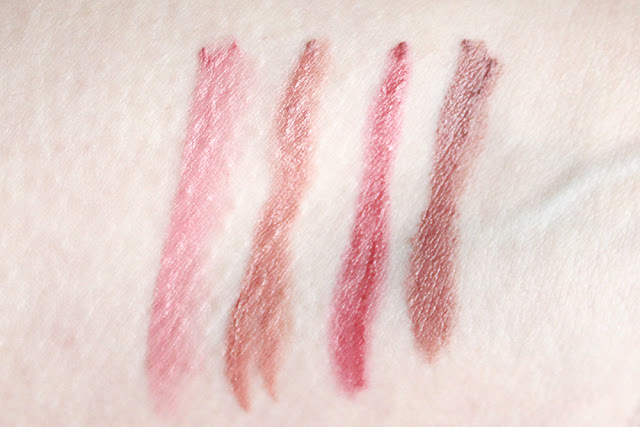 There is no tugging on the skin; These are super-creamy and stay put really well. They also blend out well for a great smokey eye look. 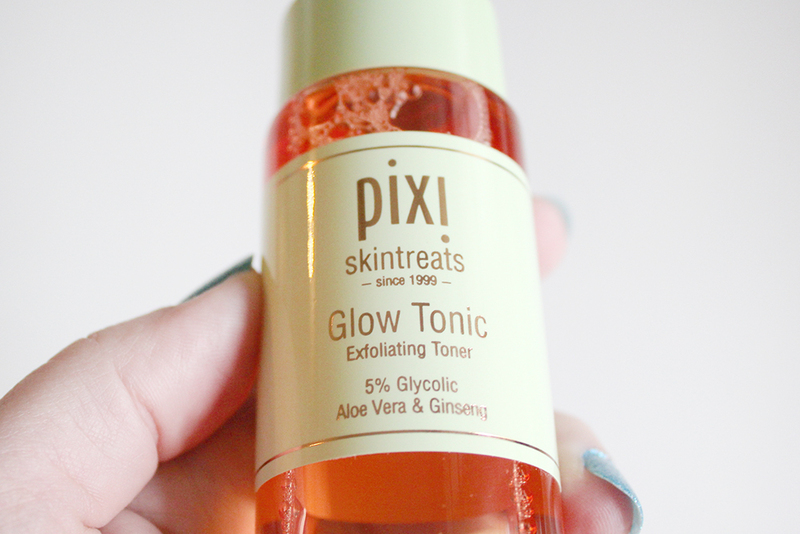 I was also sent the Glow Tonic. It's a great exfoliating toner packed with aloe vera so it's very gentle and soothing. My favorite was the Natural Contour Kit. The powders blend beautifully! 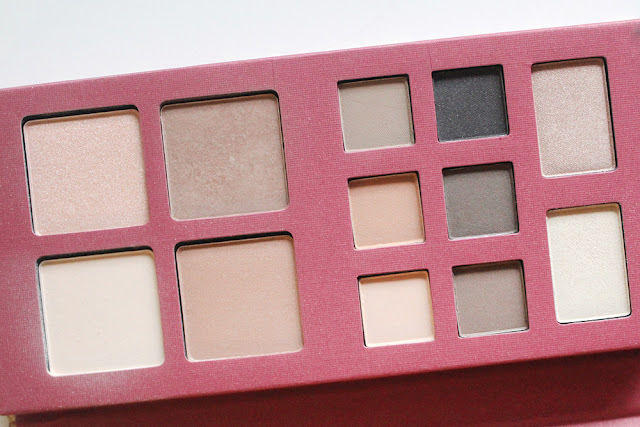 The contour colors aren't too dark and harsh, and the highlighting powders are brilliant! I've tried a few different highlighting products and none have worked as well as these. The Mattelustre Lipstick quartette comes in travel-sized tubes of (left to right) Petal Pink, Honey Bare, Bitten Rose, and Rose Naturelle. 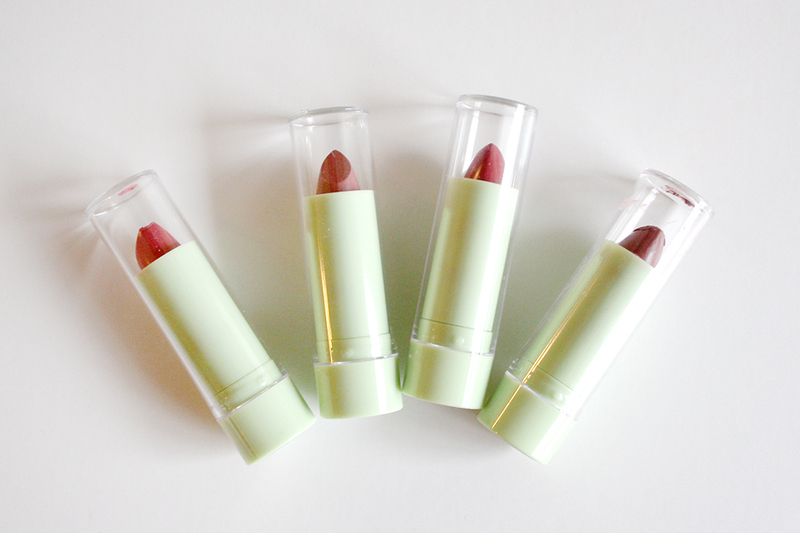 These lipsticks are a demi-matte finish, but aren't drying at all. They're highly pigmented and wear for long periods. I love the shades and think they're a great neutral set of colors. I was also sent a nail color in Zircon Zeal. I love a good glitter for the holiday season and this one is a pretty light blue that will look great with your holiday looks. It dried fairly quickly and I've got on 3 coats below for an all-over glitter look. 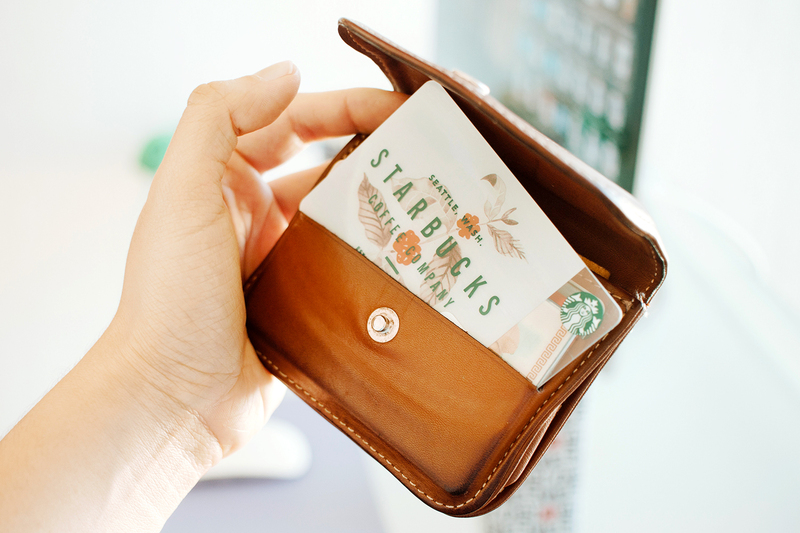 This would also look fab as a ombre over white polish! Check out the entire collection at http://www.pixibeauty.com/gift. 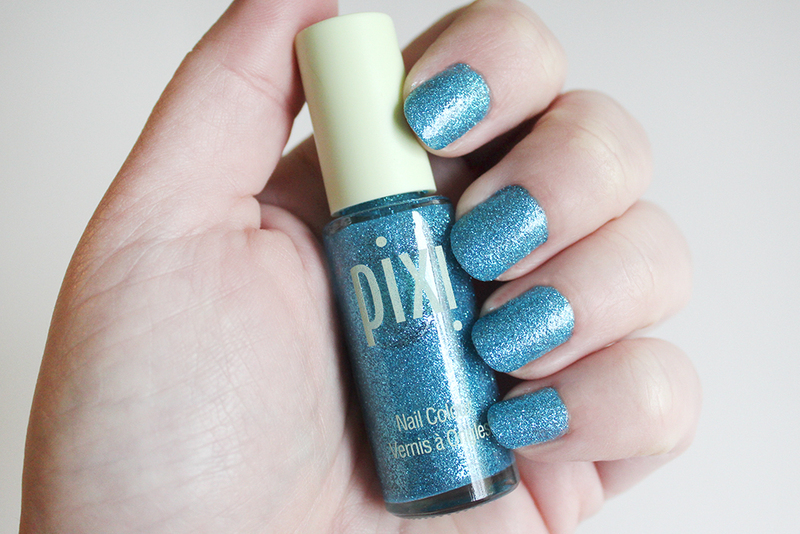 What do you think about Pixi's holiday collections? Which would you like to try? I love to hear your comments!